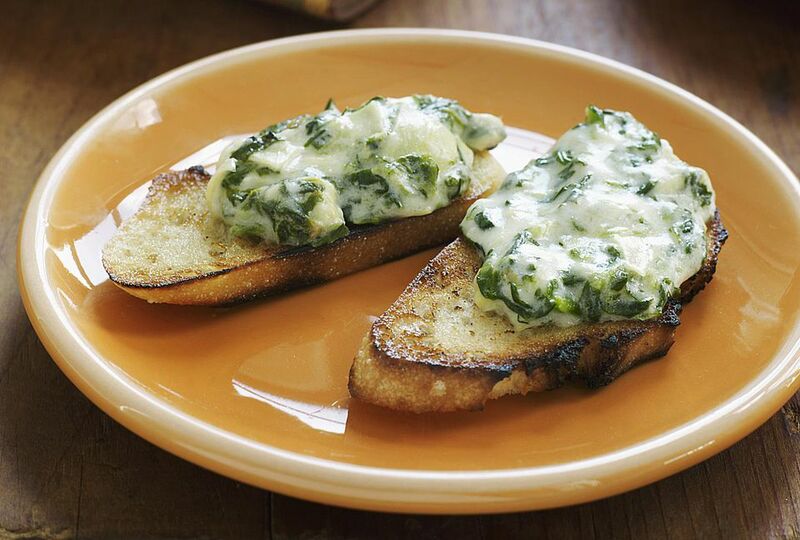 This spinach dip is super easy to prepare and cook in the slow cooker or Crockpot. Cream cheese teams up with heavy cream, frozen spinach, Parmesan cheese, and a variety of seasonings Pimientos add a festive touch, making it perfect for holiday parties. Another popular spinach dip includes chopped artichokes. Add about 1/4 cup of chopped canned or frozen cooked artichoke hearts to the spinach to add some extra texture and flavor. This recipe is easily doubled for a party or potluck event. Cook it as directed and pack the Crockpot in a container with towels or blankets around it for insulation. Plug the slow cooker in when you get to the party and set it on low or warm for serving. Cream cheese and Parmesan add to the creaminess and flavor in this dip, and it makes a wonderful party dip with sturdy chips, vegetable sticks, or crackers. Combine the cream cheese and cream in slow cooker; blend well. Cover and cook on LOW until cheese has melted, ​or about 1 to 1 1/2 hours. Meanwhile, cook the frozen spinach as directed on the package. Put the hot spinach in a colander and press it or squeeze it to get as much of the liquid out of it as possible. When the cheese has melted and the mixture is smooth, add the squeezed spinach, pimiento, Worcestershire sauce, garlic salt, Parmesan cheese, grated onion, and dried leaf thyme. Cover and cook the spinach dip on LOW for about 45 minutes longer. Serve hot from the slow cooker with raw vegetable sticks or slices, crackers, sturdy chips or bagel chips, or crusty bread cubes. Cook this dip and take it along to the party, slow cooker and all. Plug the crock in when you get to your destination and set it on warm or low for serving. This dip can be made with fresh spinach as well. Put 10 ounces of fresh chopped spinach in a saucepan of boiling water; boil for 1 minute. Drain in a colander and then squeeze out excess moisture. Follow the recipe as directed. Make the dip with chopped cooked kale. Add a 15-ounce can of drained and chopped artichoke hearts for spinach and artichoke dip. Add a little zing with the finely grated zest of 1 lemon.